Motor coupling provides accurate motor shaft alignment, minimizes fretting, and creates a low backlash/high-strength connection. Fine-grained bronze alloy worm gear and hardened alloy steel worm pinion gear for durability. Oversized output ball bearings provide high radial and axial load capacities and long service life. Max. Output Torque: 354.00 in.-lb. Output Torque @ 1/6 HP: 168 in.-lb. 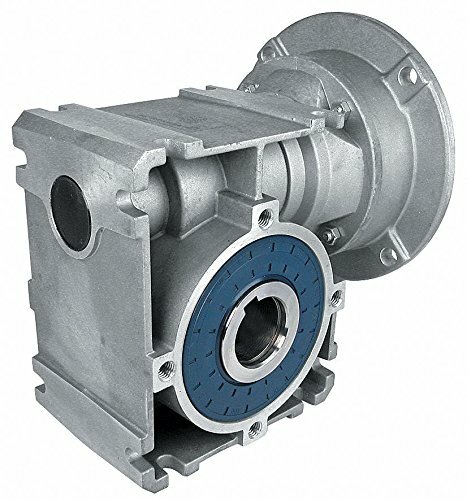 Output Torque @ 1/4 HP: 257 in.-lb. Output Torque @ 1/3 HP: 345 in.-lb. If you have any questions about this product by Nord, contact us by completing and submitting the form below. If you are looking for a specif part number, please include it with your message.